In the morning right after breakfast, you will transfer to the park headquarters for briefing. 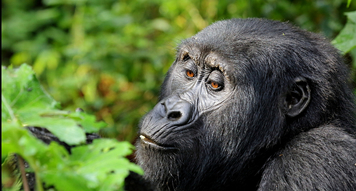 After being allocated the gorilla family you will join your group of 8 people, to start the trek. The trekking time ranges between 2 hours to 8 hours. On meeting the Gorillas you will be allowed to follow gorillas for one hour while taking photos. Avoid using the flash. After the trek, you will return to your hotel. Overnight at your lodge.